EYMS Trainer, Tracy Beadle, has shaved her head to raise money for Macmillan Cancer. Tracy was diagnosed with breast cancer last year, which she is now clear of. 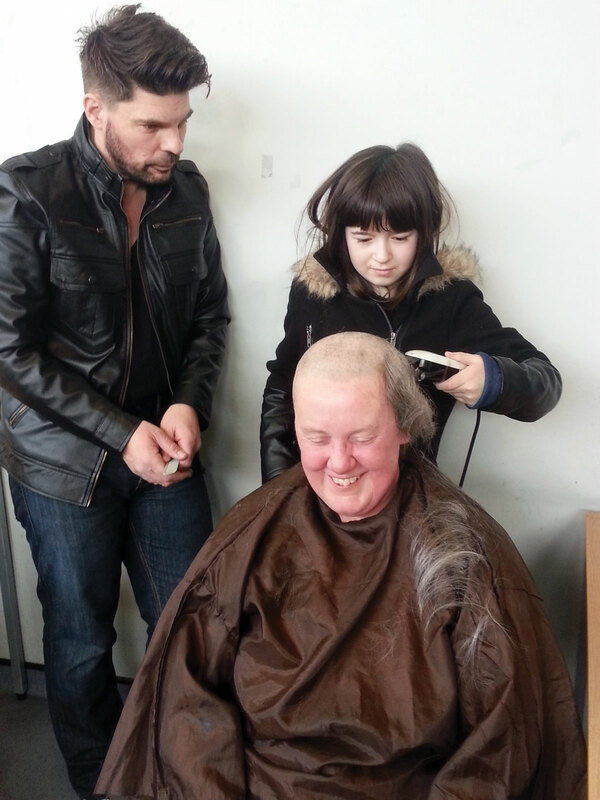 Her hair cut raised over £730, with further cash donations to come. Go to www.givey.com/tracybeadle to donate to her cause. (LtoR) Tracy’s hair dresser, Richard Driver; EYMS Training Manager, Darren Kendrew’s daughter, Amy and Tracy Beadle.